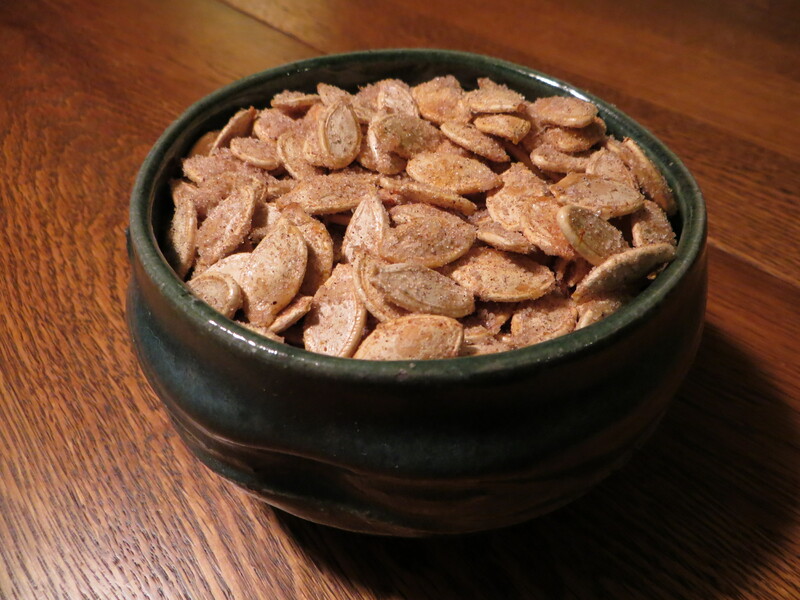 Our two good-sized pumpkins yielded 2 cups of seeds, so last night I roasted them. Daughter #2 was given a choice: sweet, salty or spicy? She went with sweet–my favorite. You can find the recipe here. 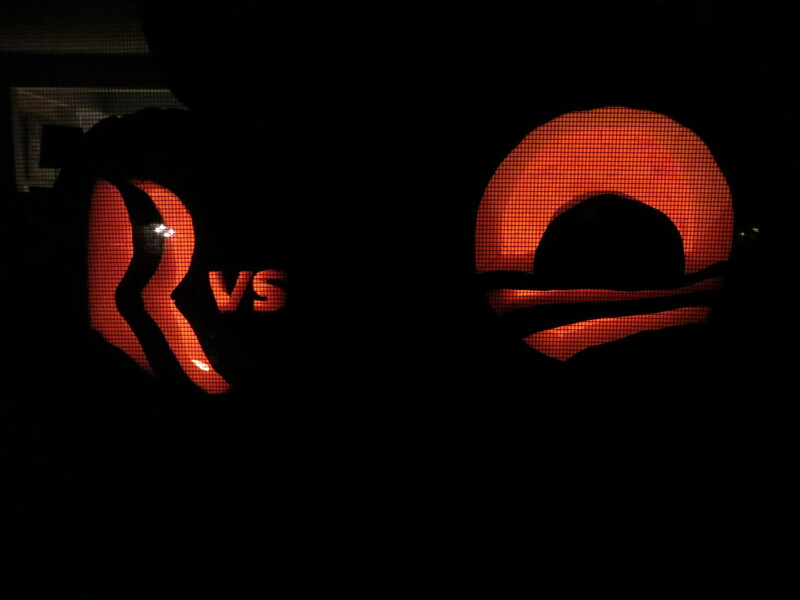 Our pumpkins are doing their part to remind neighbors to vote next week! It’s Halloween care package time for my college kids. They are halfway through the semester and ready for a reminder of home. This year I sent Ziploc bags of seasoned goldfish crackers, some Halloween decorations, and iced sugar cookie cutouts. Here is the best sugar cookie recipe. It makes enough cookies to send a generous number to my son and daughter and still have enough for us at home (otherwise Daughter #2 feels neglected and gets grumpy). The only point I vary on from the recipe is the baking time: I find that for mid-sized cutouts in my oven, 5 minutes works best. The smaller the cookie, the shorter the baking time. Not all ovens are calibrated the same, so keep an eye on the first few batches and figure out the right baking time for you. I find this endeavor works best as a staged weekend project. I make the dough Friday, bake the cookies Saturday, ice them on Sunday, and ship them on Monday. I am more likely to have family helpers, I am less likely to get impatient, and the cookies arrive at their destinations sooner without being held up over the weekend at the post office or UPS. Make the dough the night before baking and store it in an airtight container in the frig. The dough will then be good and cold when you roll and cut out the cookies the next day. Work with someone else: a child, spouse or friend. Sharing the experience makes it more fun and efficient. If using a large cutting board to roll out the dough, place a damp dish towel beneath it to prevent it from slipping. Keep the counter or board and the rolling pin well floured while rolling the dough to prevent sticking. Some use confectioners’ (powdered) sugar on the board, others flour. I use flour. Scoop out a hunk of dough to roll and keep the rest covered in the frig until ready to roll and cut the next batch. Shape and knead the cold dough into a round disk before rolling–it’ll make rolling easier. Aim for a uniform rolled thickness. About 1/4 inch is good for me, but there’s no need to get obsessive about it. Too thin, and the cookies are fragile and burn easily; too thick, and they take longer to bake and are a bit chewier. If the dough does stick, no big deal. Gather the dough up, flour the board and rolling pin some more, and roll it out again. If the dough gets too warm and sticky, put it back in the frig to chill. If you know you won’t have time to ice the cookies, sprinkling colored sugar on them before baking is a great option. The sugar adds a little sweetness and decorates the cookies with a lot less fuss. 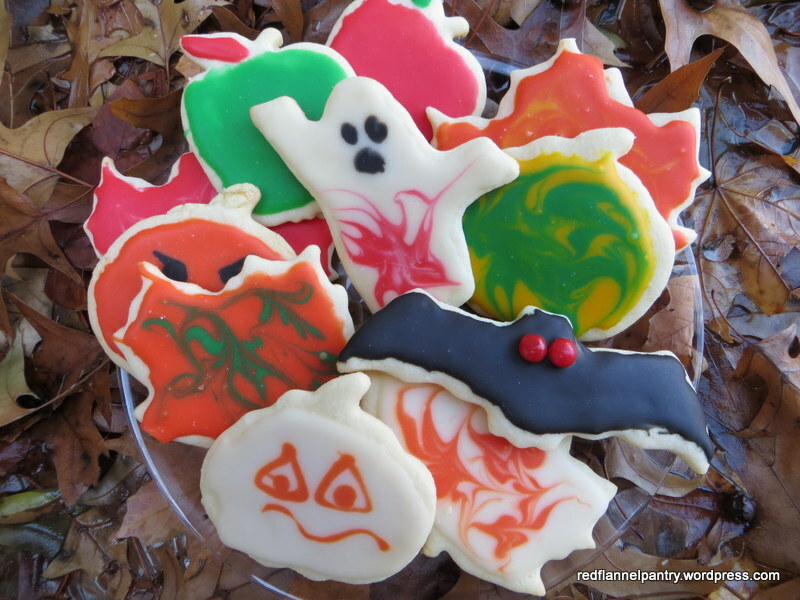 Cut and bake a whole cookie sheet–full of one cutout (say, all pumpkins or all bats). This technique leads to more uniform baking. It is easier to take a cookie sheet out of the oven a little early or leave it in a little longer if every cookie is the same size. Otherwise, you end up juggling–removing some cookies, leaving the rest in for longer all while still trying to roll and cut the next batch. Monitor cooking time carefully. I lost a sheet full of bats this year because I rolled the dough too thin and I let them bake too long–a double whammy. They ended up with singed wings, poor things, so I sacrificed and ate them myself with some chai tea–they tasted better than they looked. After removing the cookie sheet from the oven, wait a minute or two before moving the cookies to a cooling rack. This extra time on the baking sheet lets the cookies cool down and harden a bit, making it easier to move them with a spatula without breakage. I work with three cookie sheets and rotate. One is in the oven, one is cooling, and one is being filled with cutouts ready to be baked. Here is my favorite icing recipe. I have found that it makes the ideal amount for the sugar cookie recipe above. For Halloween, I divide the icing into six little Pyrex containers and add food coloring to create red, yellow, orange, black, green and white icing. I use about 12 drops of food coloring for red, yellow, green–I get nice strong colors. For orange, 6 drops of red/6 drops of yellow works. And, of course, white is just white! If you want lighter or deeper colors, adjust the number of drops accordingly. Side bit of advice: store your food coloring bottles in a small plastic container. It is easier to keep the little bottles upright, but if they do happen to tip over and leak, they won’t stain the cabinet shelf (advice borne from personal experience!). I cover several clean baking sheets with wax paper to receive the finished iced cookies. Newly iced cookies can’t be stacked on top of one another–they need time to harden first–so lay them out in a single layer. Cut a piece of wax paper for your work surface–if it gets messy, you can just crumple it up and get a new piece. Gather together any other decorating supplies: sprinkles, Red Hots (left over from making applesauce), colored sugar. I use butter knives to spread on the icing–I have one knife dedicated to each color. You can also try using clean brushes (used only for food), dipping the cookies directly into the icing or using those fancy decorator icing squeeze bottles. Toothpicks are great for swirling icing patterns on cookies or drizzling on patterns or features. Do not stress about making these cookies look Martha Stewart perfect! Take a look at mine and you know I gave that up long ago–I don’t have the patience. Instead focus on the fact that this is about having fun making and giving a tasty handmade gift that is a reminder of home. I’ve come to love their wabi-sabi look. After being decorated, the cookies need time for the icing to set and harden. If the weather is cool, I set these trays on my screen porch. Otherwise, just letting them sit on the counter for an hour or so works. When shipping iced sugar cookies, you need to package them with care. I layer the cookies in a gallon-sized Ziploc bag and then place the bag inside a cardboard shoe box along with some packing material (eg, empty plastic shopping sacks, bubble wrap, air pouches). Most shoe boxes fit perfectly inside the large flat-rate priority shipping boxes provided by the US Post Office (12″ x 12″ x 5 1/2″). You then have some room to add whatever else you think might be fun to send–goldfish crackers perhaps? My sister-in-law, Terrye, is celebrating a couple of significant milestones this month, so I made this wall hanging to commemorate the occasions. I was inspired in part by this quilt made by a member of the Chicago Modern Quilt Guild for their August 2012 Art Challenge. 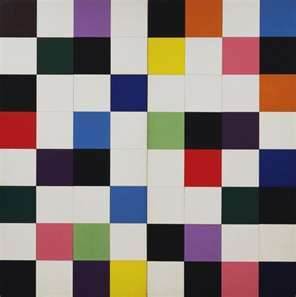 It made me think of Ellsworth Kelly, so I looked him up. The works of Ellsworth Kelly typically have bright colors, minimalist style, and abstract forms. He spent his early years living near Hackensack NJ, just like me. The work above is Colors for a Large Wall (1951). I designed the quilt to represent the two milestones in Terrye’s life this year: her 60th birthday and the 25th anniversary of her marriage to Pete. There is a total of 60 colored squares, and I grouped 25 of them together in a 5 x 5 block. For the back, I chose fabrics that relate to Terrye’s life. Terrye was a math major and then a computer analyst, hence the orange fabric with all of the numbers. 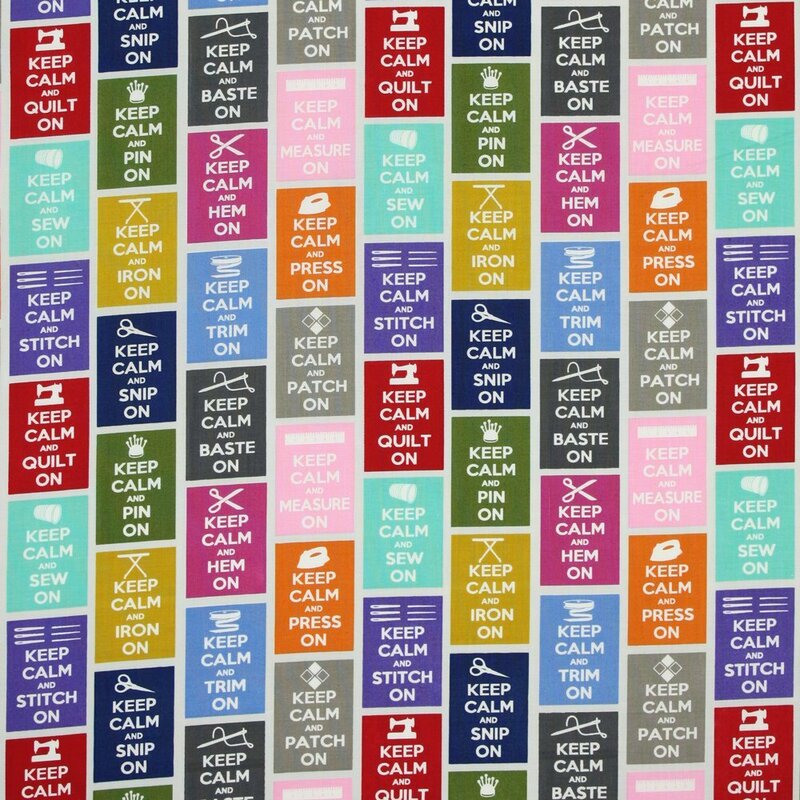 She is also a talented chef and a foodie, which made the cooking utensil fabric an obvious choice. I always stress out about the quilting design. I usually deal with this anxiety by putting the quilt top aside (ie, major procrastination). I didn’t have that option here, since I was already late with this gift, so I started with the easy (straight-line quilting of every other row) and moved on to the hard (pebble-quilting the negative gray space in the lower third). 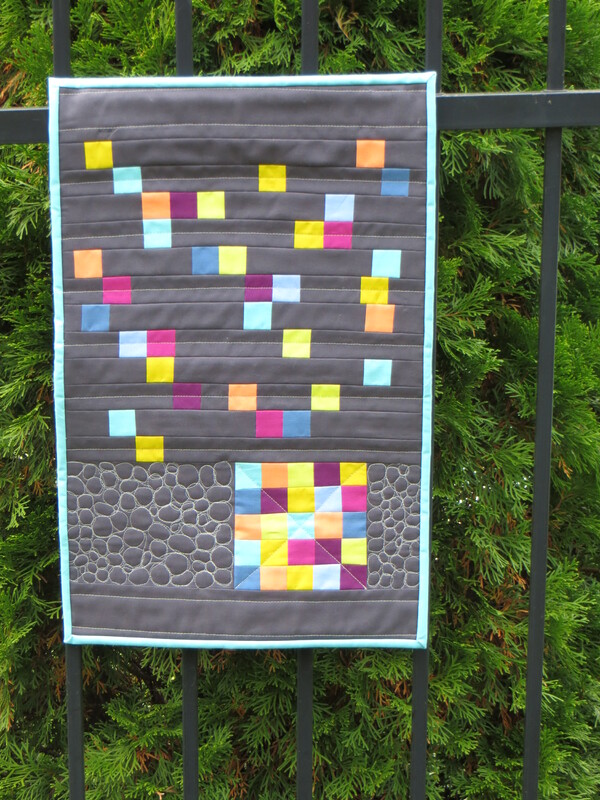 I like how the straight-line quilting makes the colored squares resemble abacus beads and how the pebble quilting looks like boulders flanking the block of 25 squares. The wall hanging ended up being 14 x 21 inches. This is my first piece using only solids–I think they balance well with the dark gray background. I might explore other riffs on this same theme–especially since I have a whole bunch of little fabric squares left over. At heart I am a lazy cook, which is why my favorite recipes have few ingredients. 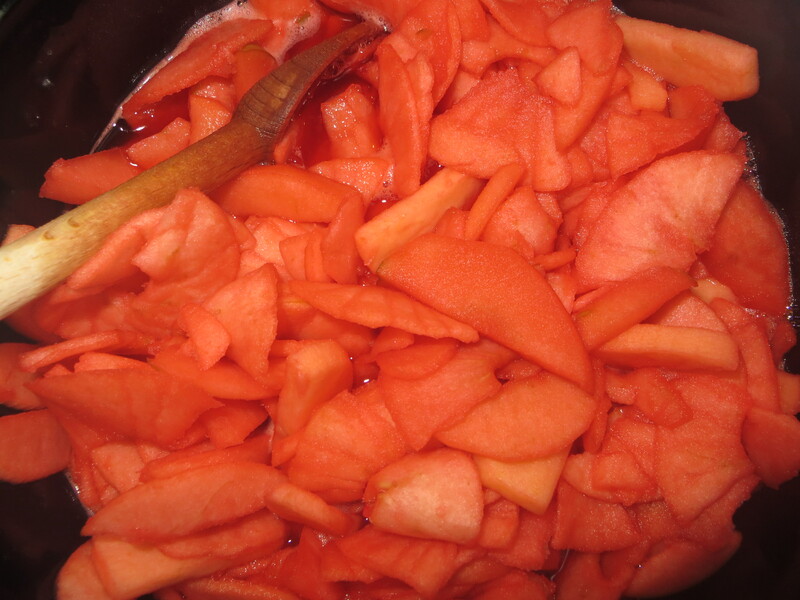 Red hot applesauce is an old-fashioned dish that requires precisely three ingredients: apples, water, and cinnamon-flavored candies (known around here as red hots). And since I am a lazy cook, I don’t like peeling apples. 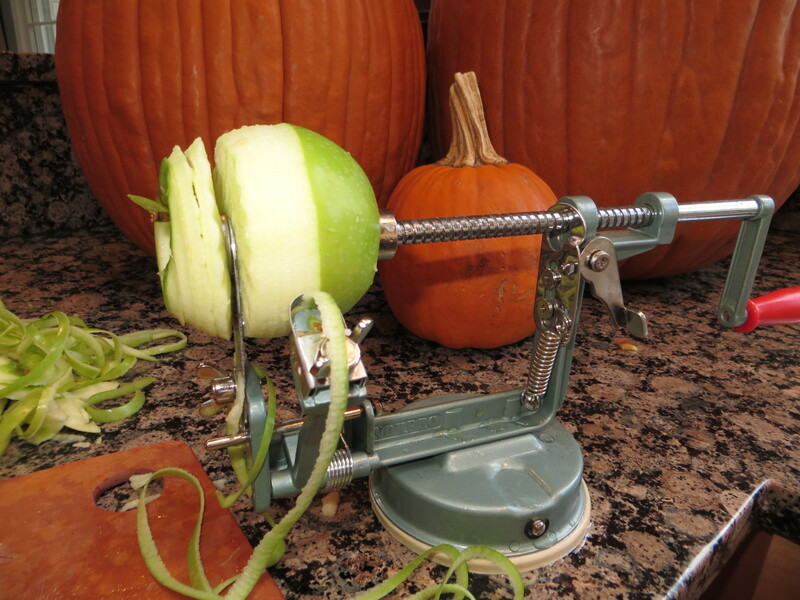 Out came this handy device, which peels, cores and slices apples into perfect little spiraled packages, ready for the pot. The gray-green metallic finish makes it look like it should also sharpen pencils or weigh letters for postage. 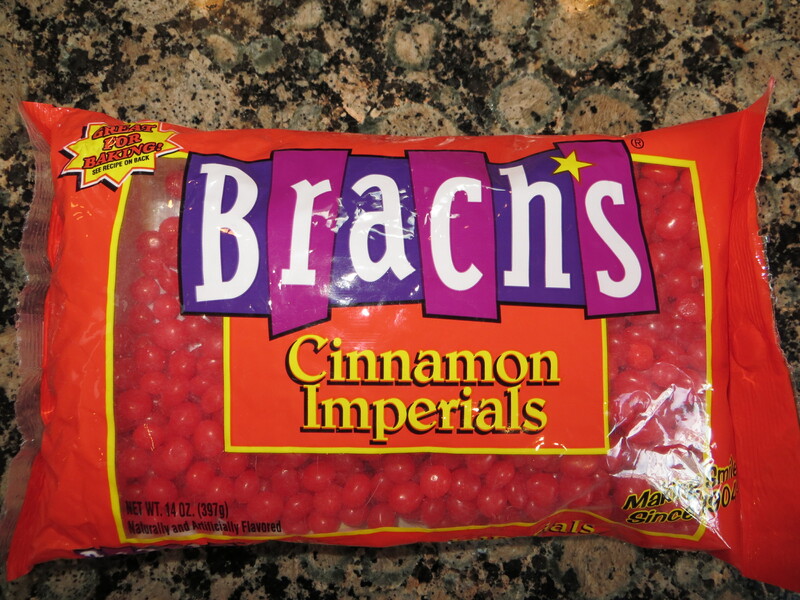 The cinnamon candies turn the apples an electric red color and pack a spicy cinnamon punch. The recipe calls for 9 ounces, which is about two-thirds of this 14-oz bag. You can save the leftover red hots for cookie decorating. You can make the recipe as chunky or smooth as you’d like. The longer you cook it, the more the color and the flavor become intense and the more the texture becomes soft and smooth. This simple recipe is a great one for kids. From turning the crank on the apple peeler to pouring in the red hots to stirring the pot, they can be involved at every step. And what kid wouldn’t like applesauce made with candy? This morning I read a post on the New York Times Motherlode parenting blog by KJ Dell’Antonia about a mother-young daughter team in NYC who repairs loveys with respect, love and care–all free of charge. Rebecca Benghiat and her 7-year-old daughter, Amalia, run NYCLoveyRepair and write a charming blog about their “patients” and their work. It made me think of the loveys that reside in our house, and the loving repair work they have received over the years. 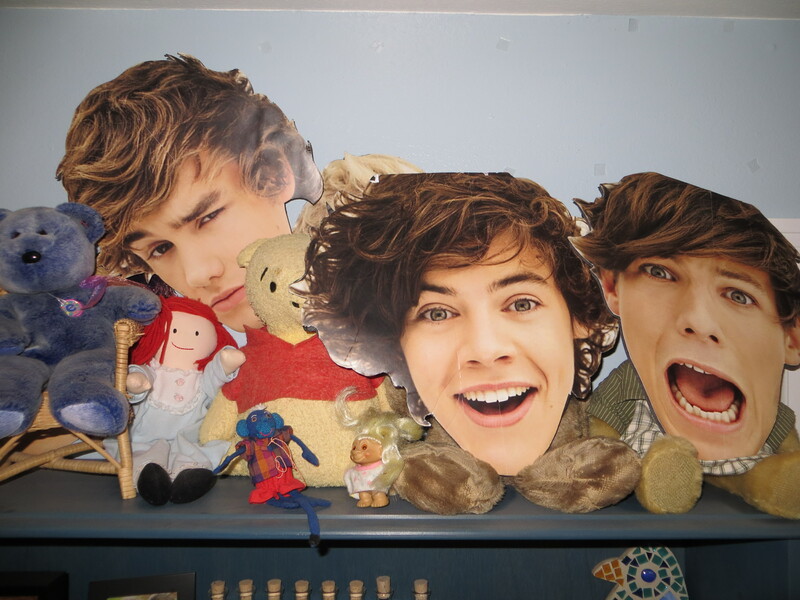 Panda lives atop a dusty shelf in Daughter #2’s room–that’s him, behind Harry Styles with the One Direction boys. Here he is. 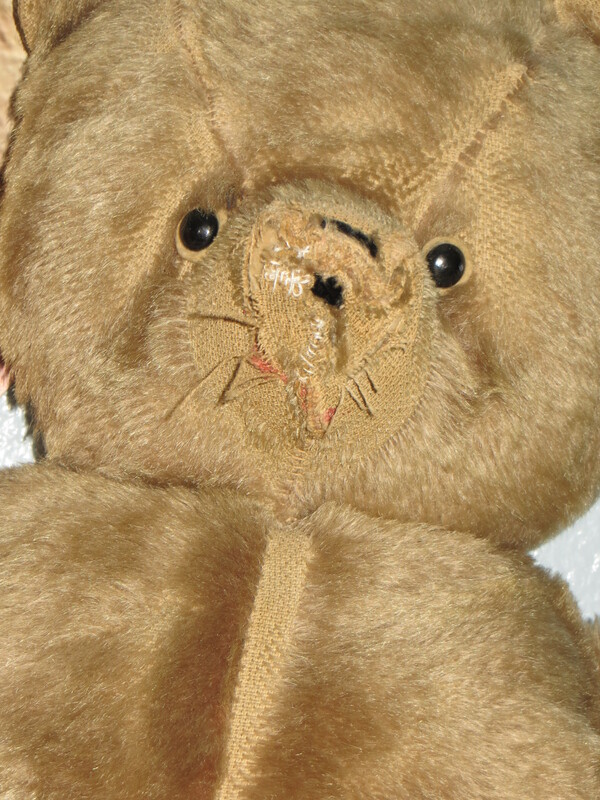 This bear belonged to my mother. Panda has been around as long as I can remember and must be at least 70 years old. As you can see, he looks nothing like a panda. I recall trying to repair him when I was about Amalia’s age. I closed ripped seams on his stumpy appendages and attempted to mend his snout. Those long-ago clumsy repairs make Panda look like a mute Frankenstein. I love him anyway. Winnie-the-Pooh was made about 45 years ago by my mother-in-law for my husband when he was a boy. She made the entire 100 Acre Wood gang: Eeyore, Kanga, Roo, Tigger, Piglet and Winnie. Only Winnie and Roo survive. 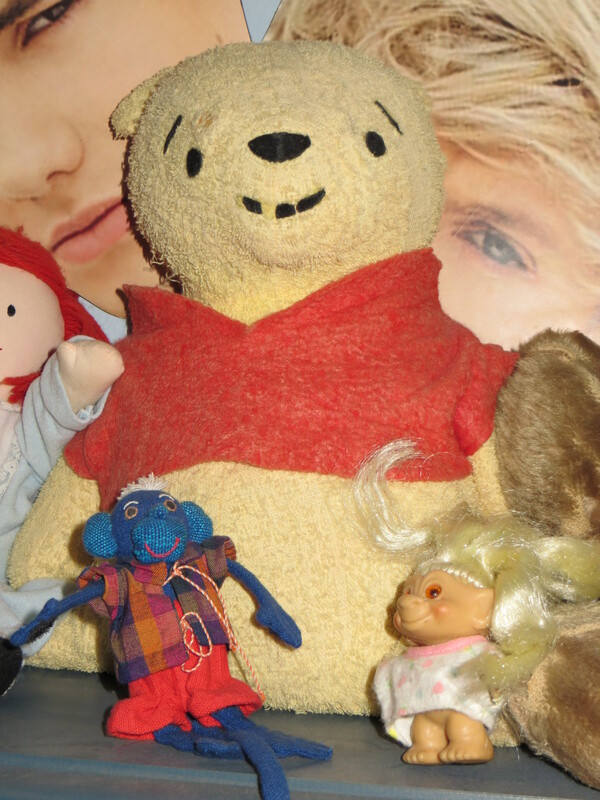 Winnie is in a rather fragile state, with his terrycloth body and felt features wearing away. Despite his fractured smile, he still looks upbeat. 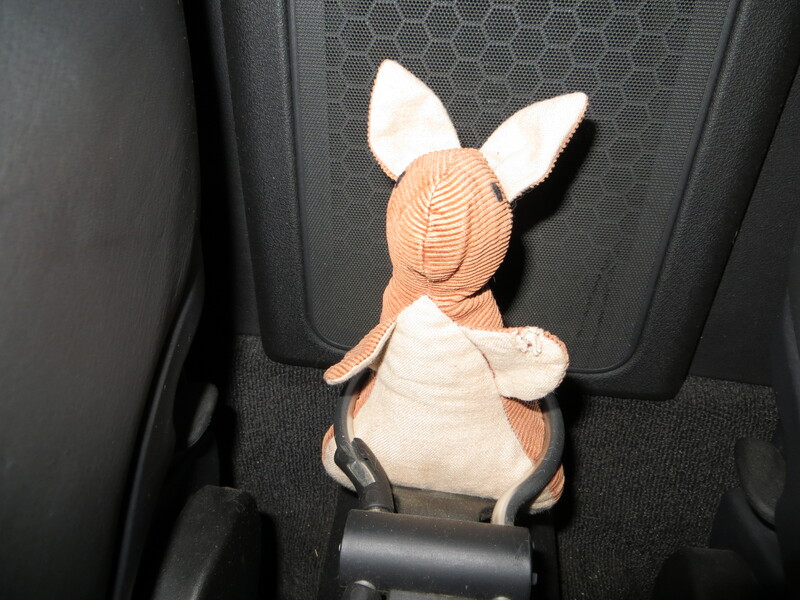 Roo, who was constructed of more sturdy corduroy, hangs out in a cup holder in my husband’s car and enjoys riding with the top down. 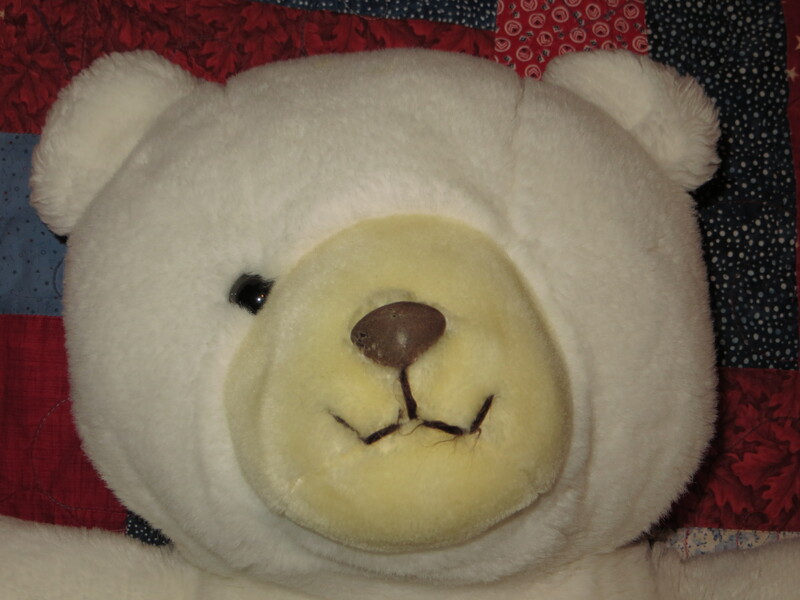 I have no idea of the provenance of this bear. All I know is that he is old, belongs to my husband and sits on top of his dresser. You can see my repair handiwork along his sternum and neck. 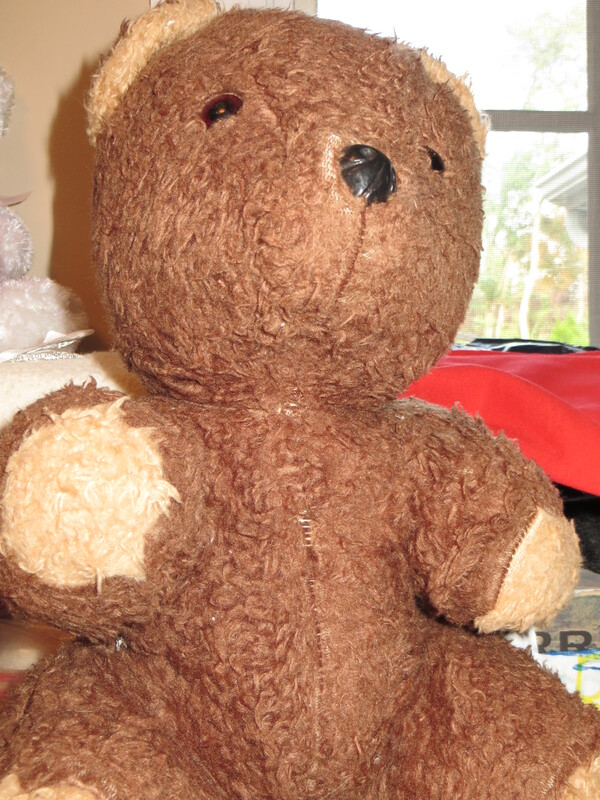 This jaunty, one-eyed bear is the only stuffed animal my now-adult son has kept. 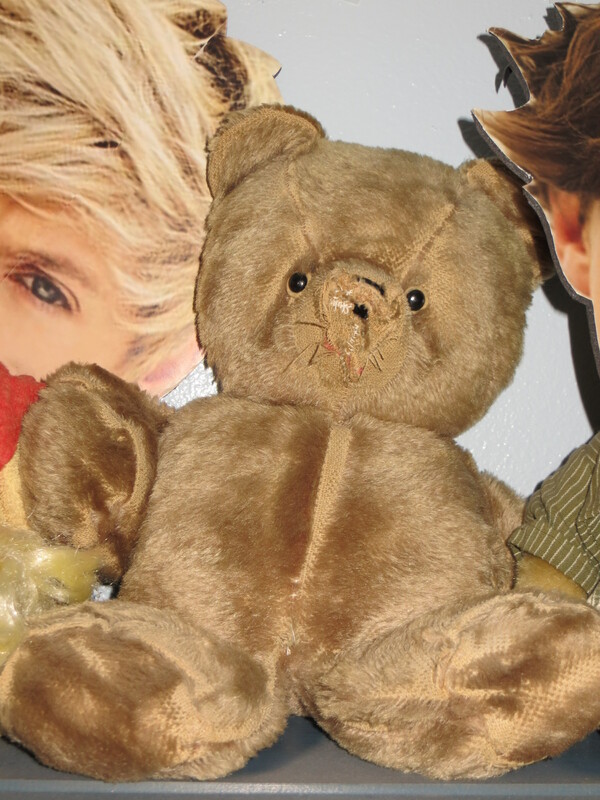 I need to give him a new eye or make him an eyepatch (the bear, not my son). 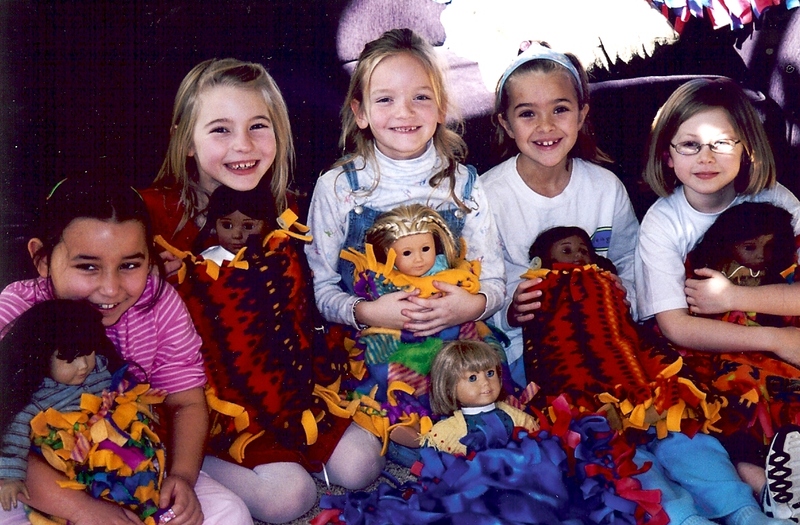 Over the years I have repaired many loveys: blankets, stuffed animals, baby dolls and pillowcases. Like Rebecca and Amalia and all who wield a mending needle and thread, I find joy being part of a circle of generosity, gratefulness, and gratitude. 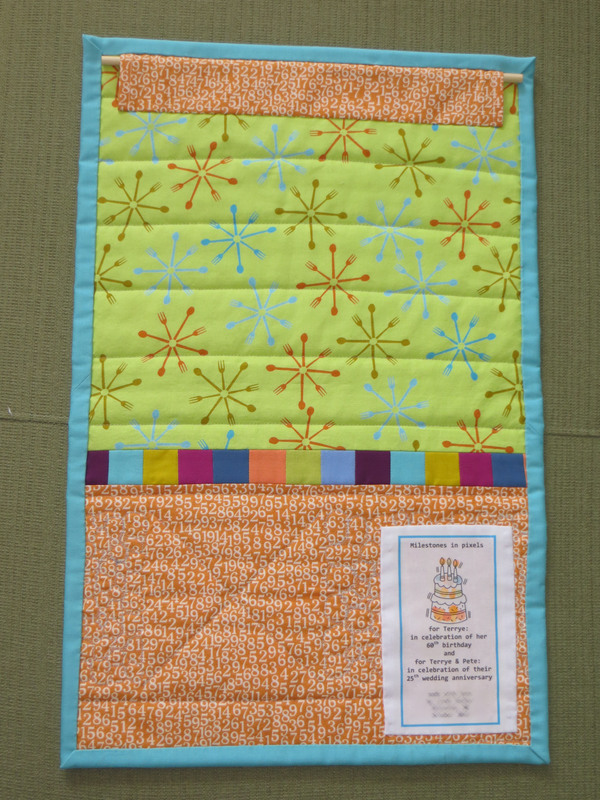 I made two of these weighted pincushion organizers last year: one for myself and another for my friend Sarah. My sister-in-law, Terrye, recently bought a new sewing machine, so I thought this organizer would be a good little gift for her. I used this tutorial from Sew Mama Sew by Elizabeth Hartman, and I had no problem following along. You will want to use lightweight interfacing. I made the mistake of using heavier stuff when I assembled the first one, and it made the top rim of the bag too thick and top-heavy. 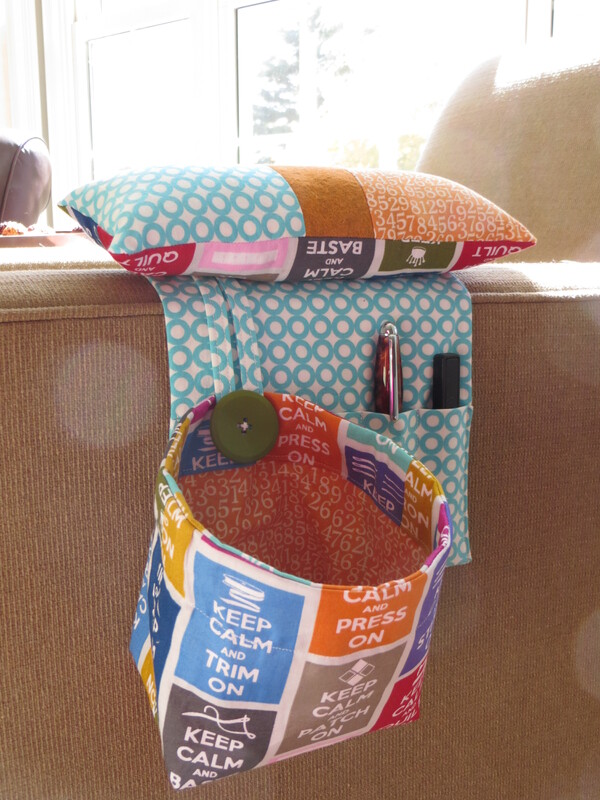 The organizer sits nicely on the edge of my sewing table or on the arm of the sofa, which is handy when I am working in front of the TV. The organizer panel has the perfect-sized slots to hold snips and a seam ripper, an unfortunate necessity for me. The detachable bag is helping to curb my bad habit of flinging stray threads to the floor, where they tangle up my vacuum cleaner. I thought this fabric by Timeless Treasures with its twist on sewing expressions was fun and appropriate. I have found “Keep calm” to be a good mantra while seam ripping. I have met a fictional kindred spirit and soul sister–and she’s a Midwesterner to boot! Her name is Selina Peake DeJong, and you can find her in Edna Ferber’s So Big. I don’t quite remember how I ended up reading this book. I think I looked up Giant, one of my all-time favorite movies (I mean, Rock Hudson, Elizabeth Taylor and James Dean–come on! ), and learned that it was based on a book by Edna Ferber–really? 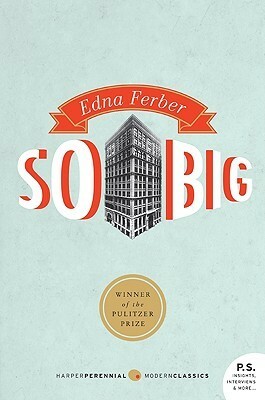 So that made me look up books by Ferber, where I stumbled upon So Big, which won the 1925 Pulitzer Prize. Well . . . I had to read that! And boy, am I glad I did. It has been awhile since I’ve read a book that I have really loved, and I relished this one. I was sorry when it was over. From Selina’s perspective, her early years are charmed. Her father, a gambler, wants her to see that life “is just a grand adventure. A fine show. The trick is to play in it and look at it at the same time.” Unfortunately, Selina is on her own at a young age, and, being determinedly independent and hardworking, she decides to support herself by teaching. She ends up living among the Dutch south of Chicago and marrying a truck farmer, Pervus DeJong, “a kindly creature, tender and good, but lacking any vestige of initiative,” who struggles to grow vegetables and sell them in the city. At this time, Selina awakens to the idea that she, her husband, and their farm are “a vital part in the vast mechanism of a living world. Pervus, earth, sun, rain, all elemental forces that laboured to produce the food for millions of humans.” Their acreage is “a kingdom”; the truck farmers are “high priests consecrated to the service of the divinity, Earth.” I didn’t expect this book to have a connection to the sanctity of the land, but it does and it’s lovely. I don’t want to spoil the story for you, so enough details–you need to read it yourself. As I read, I kept marveling at the book’s overarching themes that are oh so pertinent today–yet, Edna Ferber wrote this book almost 100 years ago. Education; beauty; class; character; the value of hard work; the not-so-big house; native architecture; parental sacrifice and legacy; organic produce; the emptiness of the rat race; and what it means to truly live a full life, a rich life, a successful life, a life full of beauty–Ferber weighs in about it all. Selina is of the same ilk as Laura (Little House on the Prairie), Anne (Anne of Green Gables), Francie (A Tree Grows in Brooklyn), and Sayward (The Trees trilogy): intelligent, quietly confident girls who become strong-minded, empathetic, independent women–my kind of gals. Cranberries herald the arrival of fall in my kitchen. Their tartness and scarlet color make them a favorite ingredient. 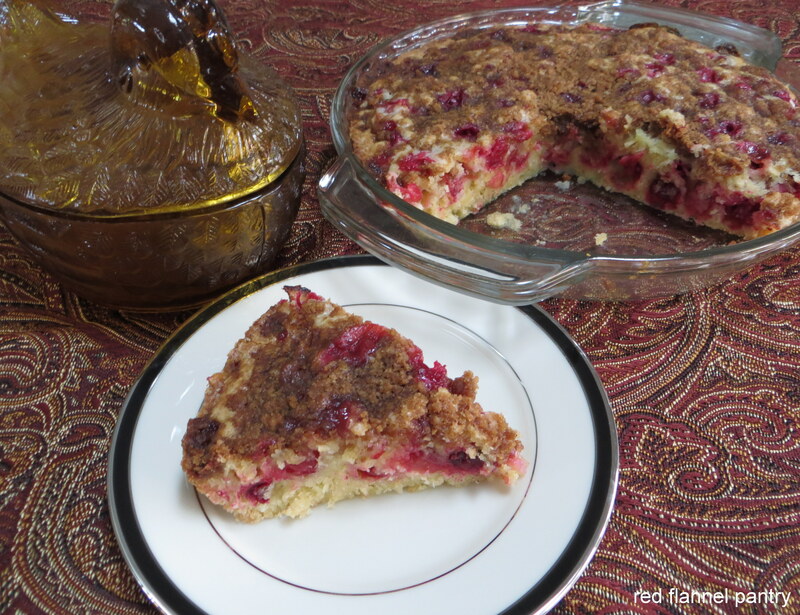 And when cranberries are in season, cranberry cake is a must. Sugar balances the tart pop of the cranberries, and streusel adds a satisfying crunch. For those who claim not to like cranberries, I was like you once too. 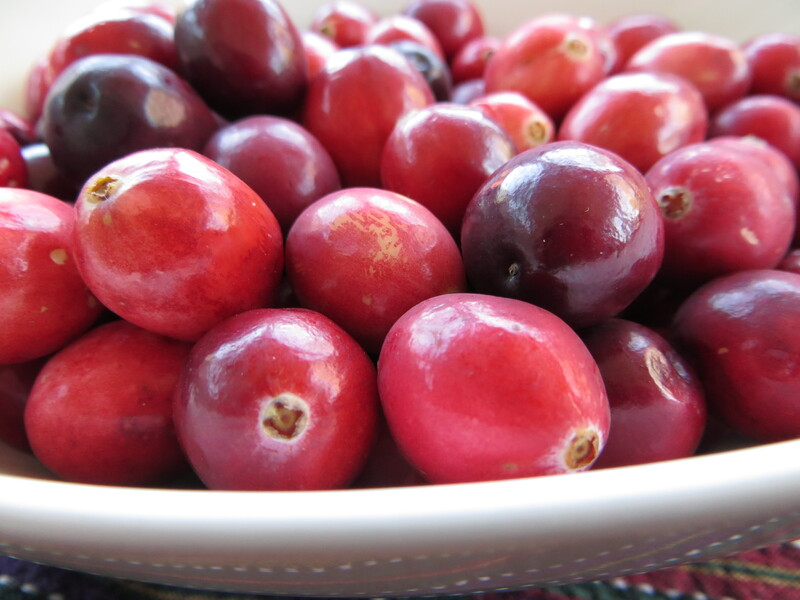 When I was growing up, cranberries meant ruby-red gelatinous slices on the Thanksgiving table, an incarnation that couldn’t be further from the real fruit. Cranberry cake will make you a convert. Here is the recipe. One 12 oz bag of fresh cranberries works out to be about 3 1/2 cups. Eat it for breakfast, serve it with tea, dish it out with a scoop of vanilla ice cream for dessert–and be sure to throw a couple of bags of cranberries in the freezer. The season doesn’t last long. Daughter #2 and her friends are beginning to celebrate 16th birthdays. This weekend is Alyson’s birthday. Alyson has been a carpool buddy since preschool days, which means practically their whole lives–easy to say when you are 16. Given Alyson’s soon-to-be licensed driver status and their years of bonding while strapped in a back seat, Daughter #2 thought a keychain would be the perfect gift. 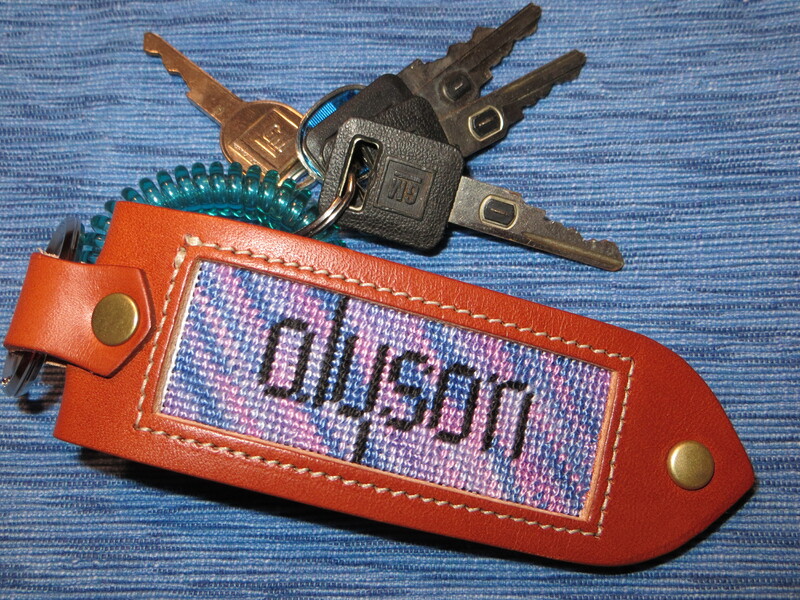 We buy the leather and canvas keychains at a local needlepoint shop for under $20. The shop will draw on a standard monogram if you ask nicely, but we have watched Daughter #1 create her own clever needlepoint keychain designs for a couple of years, so Daughter #2 thought she’d try something on her own (with a little help from me!). We began by xeroxing the blank canvas keychain at an enlarged size, making multiple copies, and then messing around with pencils in hand. Since this was only the second keychain Daughter #2 has made, the two of us came up with a simple design that was easy to map out and stitch. Creating your own design involves a lot of counting, measuring, and figuring, so patience is required, especially when a teenage daughter and her mother are working together. She stitched the background with DMC floss with blue/purple color variations using the basketweave stitch. It resulted in a pretty variegated pattern. The car keys don’t come with the keychain! 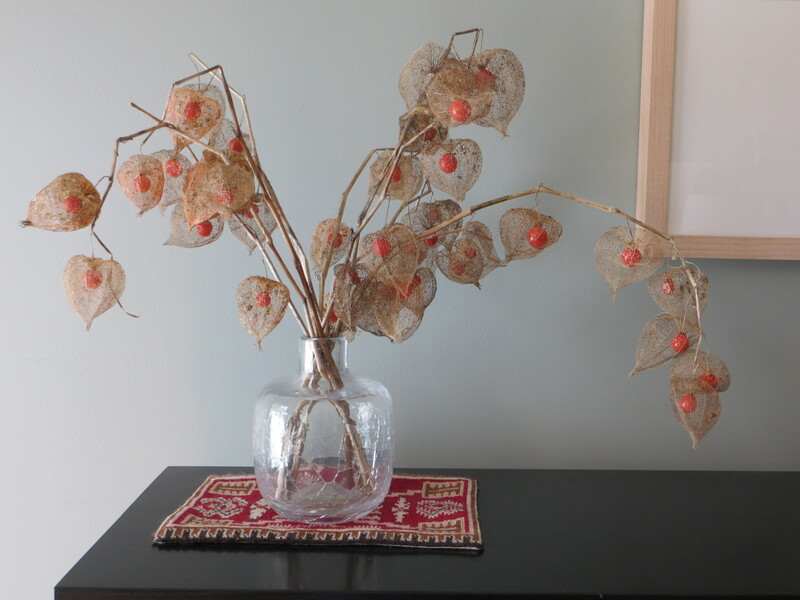 While working in my garden this weekend, I came across these skeletonized remains of a plant I call Chinese lantern (Latin name: Physalis alkekengi). 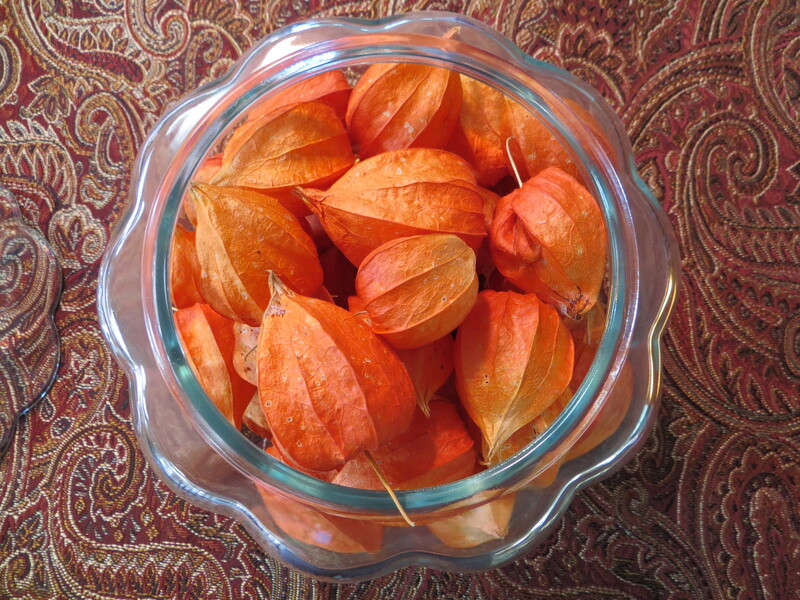 Also known as winter cherry, Chinese lantern is a member of the nightshade family, which includes tomatoes and potatoes, and is considered toxic if eaten. Several years ago, someone brought a division to my plant swap party, and I, unaware of its invasive nature, planted it in my garden. I have struggled to contain it ever since. Like mint, it spreads through its root system, growing sneakily underground and then popping up sometimes far from its source. As a green, flowering plant in the spring and summer, the Chinese lantern is nondescript and weedy, with jointed stems and teeny white flowers, weaseling its way unwanted throughout the garden. However, by the fall, the little white flowers morph into glowing orange paper globes that when exposed to the elements decay to reveal hidden orange berries. It is such an elegant, clever and aesthetically lovely design that in the end I have to marvel at its tenacity and admire its beauty. So Chinese lantern and I have come to a truce. It is now allowed to thrive on the garden edges, and this time of year I reap its gifts. 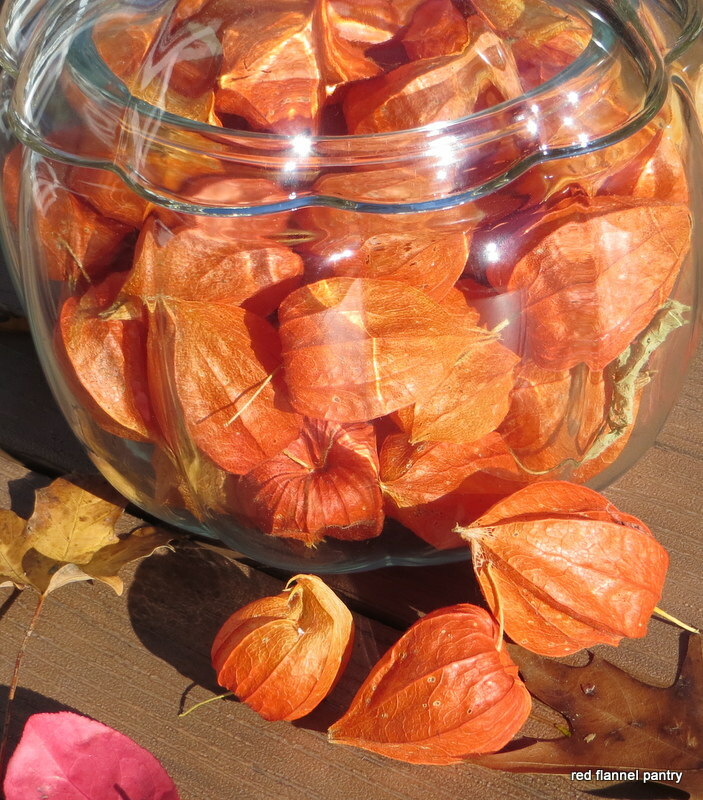 Some years I harvest the lanterns when they are whole and unblemished and display them in glass containers. Although delicate and fragile, they will keep for years.